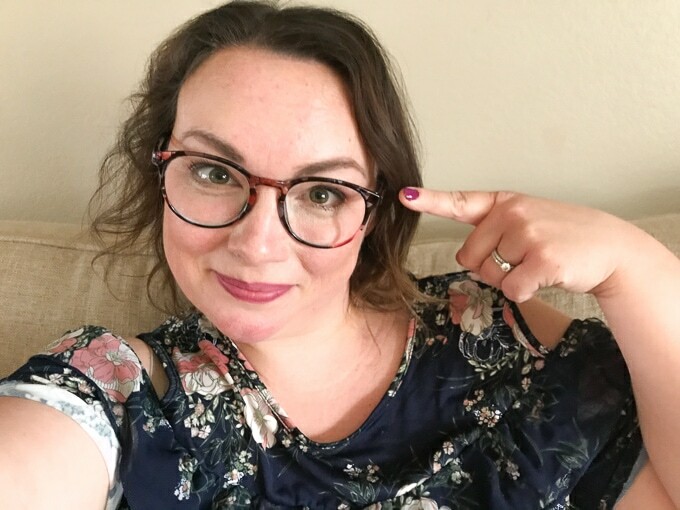 This post is sponsored by Bloggin’ Mamas and EyeBuyDirect, all thoughts and opinions are my own. I have been wearing glasses since I was 7 years old. It started with just wearing them in school, but my eyes have progressively gotten worse over the years. There was a whole period in my 20s where I didn’t wear my glasses at all. And then I started having babies. With every baby, my prescription changed. Until it got so bad that I failed my eye exam at the DMV. That certainly did not make me feel young. Now I’m forced to wear glasses or contacts all the time. I do have to say now that I have accepted defeat, I feel better. Because I can actually see. Now here’s the problem. As I mentioned above, my prescription has changed a lot over the years. I have had three babies and I have had to change my prescription with each pregnancy. I thought I was in the clear for a while, but then I weaned my toddler and everything got blurry again. I saw my eye doctor, and trying to save money, opted out of new frames and just updated my lenses. After insurance, I still spent close to $200. On lenses! No frames! I had never tried ordering glasses online before, mainly because I was worried about the fit. 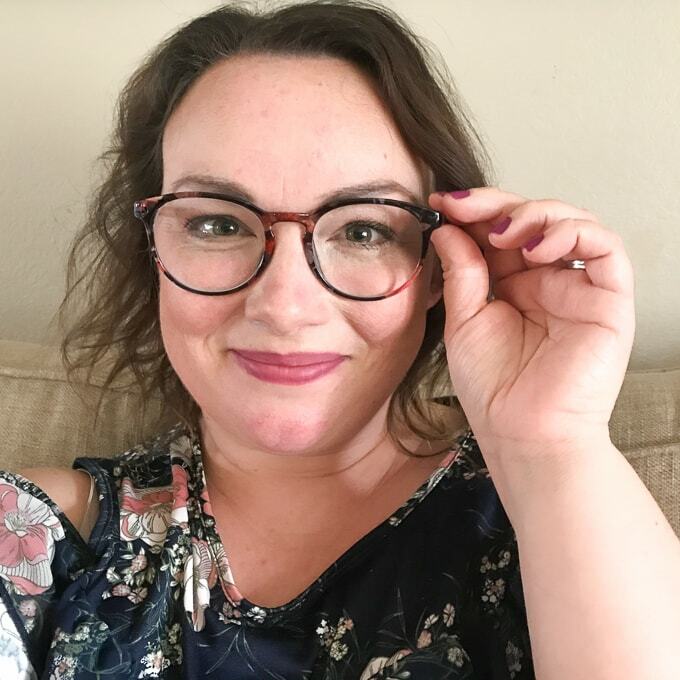 If you wear glasses, you know that you have to try the frames on to make sure they are not too big or too small or don’t fit your nose right, or rub on your eyelashes. Really, it’s a thing. Let me tell you that my glasses came and they fit perfectly. EyeBuyDirect has really easy guides to measure your face or existing frames. There is also a code on the side of most frames that shows the size. I ended up just pulling the size from my old, rickety frames and finding a super cute pair of floral frames within minutes. Now, let’s talk about the cost. I have old lady eyes. That means, I need the special lenses if I don’t want super thick lenses jutting out of my frames. I also like to have perks like an anti-glare coating. After upgrading the lenses and picking out the perfect frames, my glasses were under $80. Without insurance. That price means that I don’t have to worry about upgrading my glasses again when needed. Which will probably be soon, based on my track record. That means I can pick out a second pair if I want. Because I don’t have to worry about coming up with hundreds of dollars for something that is a basic need for my well being. It’s also legally required for school pick-up and Target runs. I need to have glasses. It’s been a constant worry since having kids that I have to regularly spend a lot of money on eye care. If you are in the same boat than I highly recommend EyeBuyDirect. They have some really cute frames. Their fit is wonderful. And my lenses are clear. What if the glasses don’t work out? Now, hypothetically, if your glasses arrive and you hate them, you can take advantage of their 14 Day Fit & Style Guarantee. 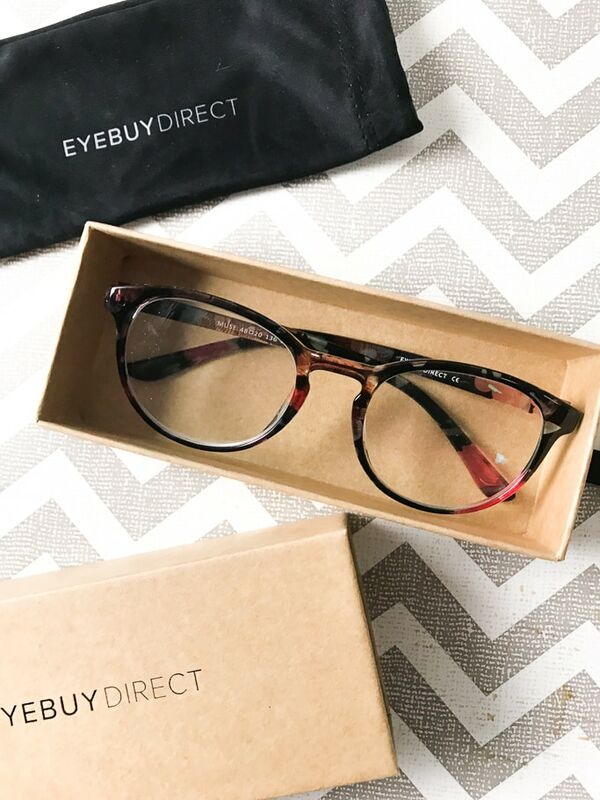 Try them out for a couple of days, and if you still don’t like them, EyeBuyDirect will let you return or exchange them – no questions asked. They also have an online EyeTry feature where you can see how the glasses look on your face before you make your order. EyeBuyDirect is a one-stop online optical shop for contemporary men’s and women’s eyeglasses and sunglasses. Established in 2006, the brand champions bold style choices so customers can see the world in a whole new way and change how the world sees them. To provide customers with over 1000 affordable frames, EyeBuyDirect conducts the entire process from concept, design, to manufacturing. Part of the Essilor Group, the largest manufacturer of lenses in the world, EyeBuyDirect offers fashionable frames starting at just $6. 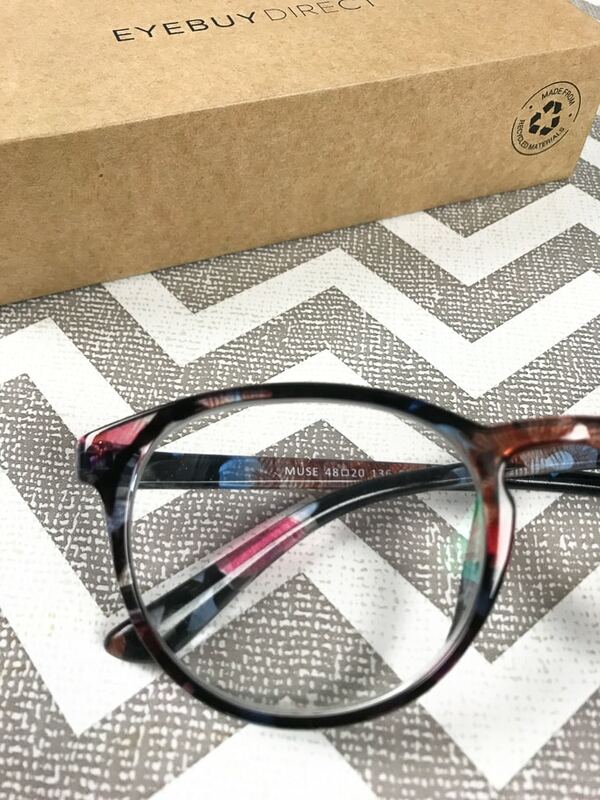 Through their Buy1Give1 program, a pair of eyeglasses is donated to someone in need for every order placed. Learn more at www.eyebuydirect.com/eyeglasses. I also have a special EyeBuyDirect promo code for you. The promo code is AILEEN20 and it is good for 20% off your purchase. Make sure you check out their new Spring Fling Line while you are there. Have you bought glasses on EyeBuyDirect before? What did you think?